[blockquote cite=””] CarPlay allows iPhones to plug into cars so drivers will be able to call up maps, make calls and request music with Siri voice commands or a touch on a vehicle’s dashboard screen. It requires Apple’s latest software, iOS 7 and an iPhone 5, 5C or 5S. Car producers including Ferrari, Mercedes-Benz and Volvo previewed CarPlay in Geneva with other producers saying they are planning to adopt the system. [blockquote cite=”Greg Joswiak, Apple’s vice president of iPhone and iOS product marketing”] iPhone users always want their content at their fingertips and CarPlay lets drivers use their iPhone in the car with minimized distraction. Ferrari is previewing CarPlay on its four-wheel-drive FF model. Volvo plans to feature the iPhone system in its redesigned Volvo XC90 sports utility vehicle (SUV). Mercedes-Benz isn’t revealing which models will get CarPlay, but expects that both its S-Class large sedan and C-Class midsize sedan should be compatible with the system. 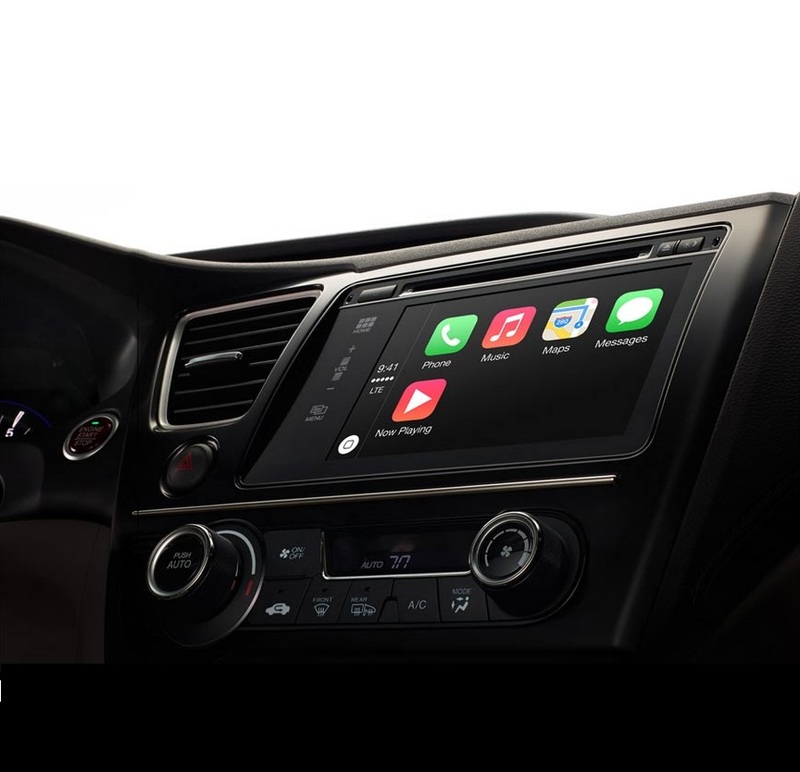 A long list of other car manufacturers, including General Motors, Ford and Honda, also are drawing up plans for CarPlay, according to Apple. Google announced it was teaming up with car manufacturers including Audi, Honda and Hyundai to integrate its Android operating system into their dashboards. Meanwhile Ford has already launched a voice-control system called Sync made by Microsoft in some of its cars and offers its own touch-screen technology.